65700 3M Filtrete vacuum bags are fitted for use with Dirt Devil Deluxe and MVP upright models and designed to capture up to 94% of indoor air contaminants. Ideal for those that suffer from indoor allergies, these bags use 3M microallergen technology to trap dust, dust mites pollen and more, helping to significantly reduce the effect these pollutants can have on the quality of your indoor air. Genuine OE product. 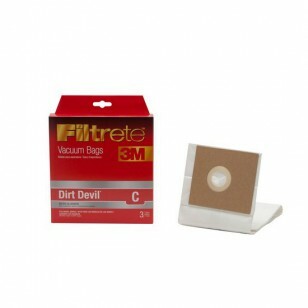 Stock up on 65700 3M Filtrete vacuum bags your Dirt Devil upright needs by adding this 3-pack to your cart today!